Sacro Occipital Technique helps normalise the relationship between the pelvis and the head, using gravity to make the necessary correction. 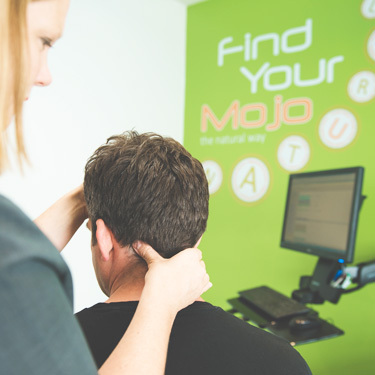 Testing the strength of various muscles of your body help us find structural, chemical and mental problems revealed by a weak muscle. The term dry needling is also used to differentiate the use of needling in a western physiological paradigm from the use of needling in an oriental paradigm which is referred to as acupuncture. Dry needling commonly involves the needling of myofascial trigger points using acupuncture needles to deactivate and help resolve them. If you’ve been to a chiropractor before and prefer to be adjusted in a particular way, let our chiropractors know. We want you to relax, enjoy and fully benefit from your chiropractic care.